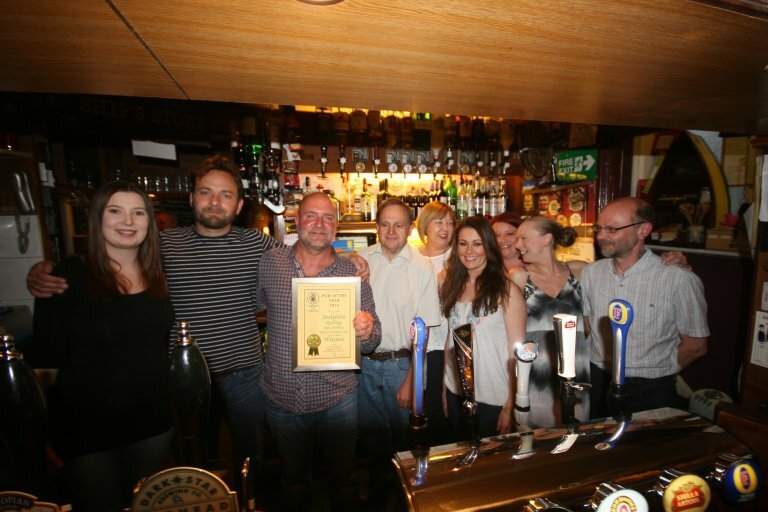 Our top award, Pub of the Year, went to The Dolphin in Hastings for the second year in succession. The award was made to Mark, Maureen, Laura and Louise Little in June, a buffet was provided by the pub for CAMRA members and pub regulars. Thanks to everybody in the Branch who took time to assess the pubs nominated for this award, as this involves visiting and assessing each of the nominated pubs, which are widespread within the Branch area. 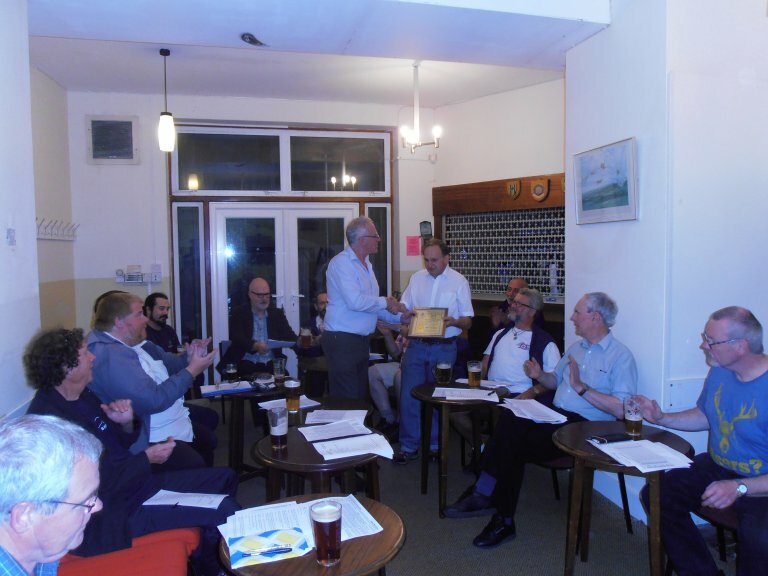 The Club of the Year was once again the Albatross Club RAFA, Bexhill in Bexhill. 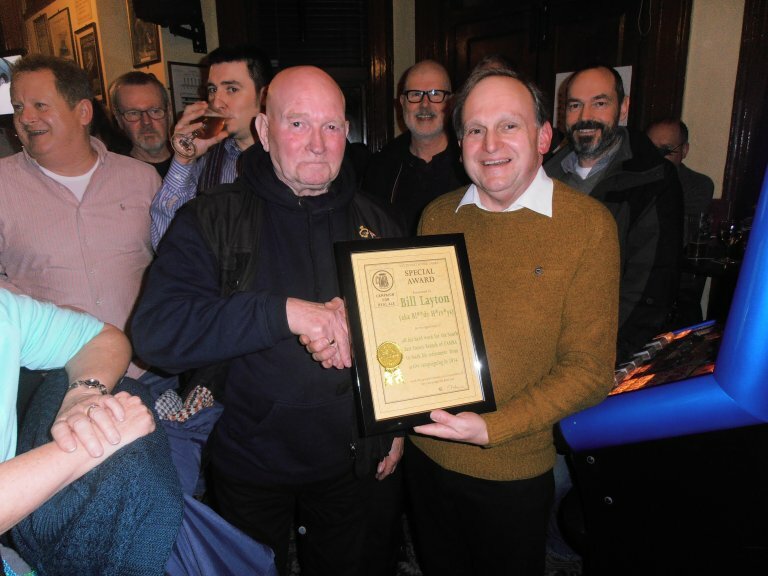 In real ale terms this is the stand out club in the Branch area, steward Geoff Wentworth accepting his last award before moving on from the club, as the Club hosted at a Branch committee meeting in September. 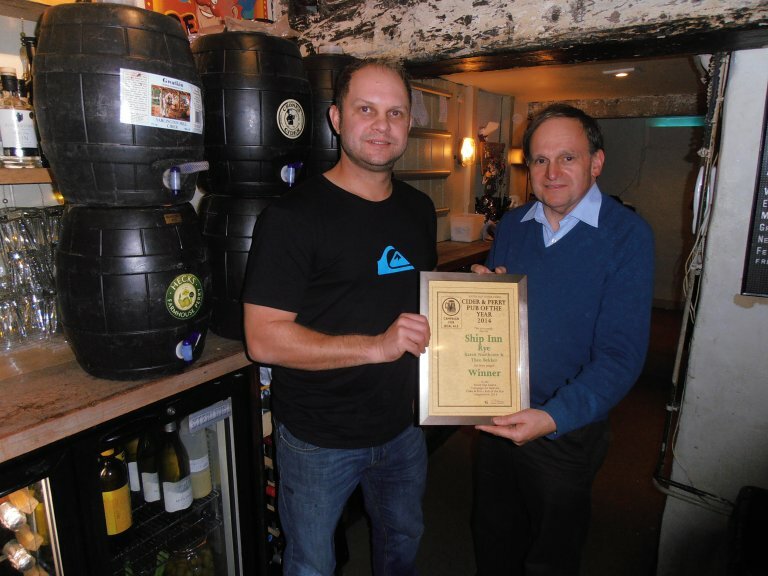 The Cider and Perry Pub of the Year was awarded to The Ship Inn, Rye which happily when the Branch visited in October to make the presentation to Karen Northcote and Theo Bekker, was on the point of holding a cider and perry festival, so there was a good selection to taste. 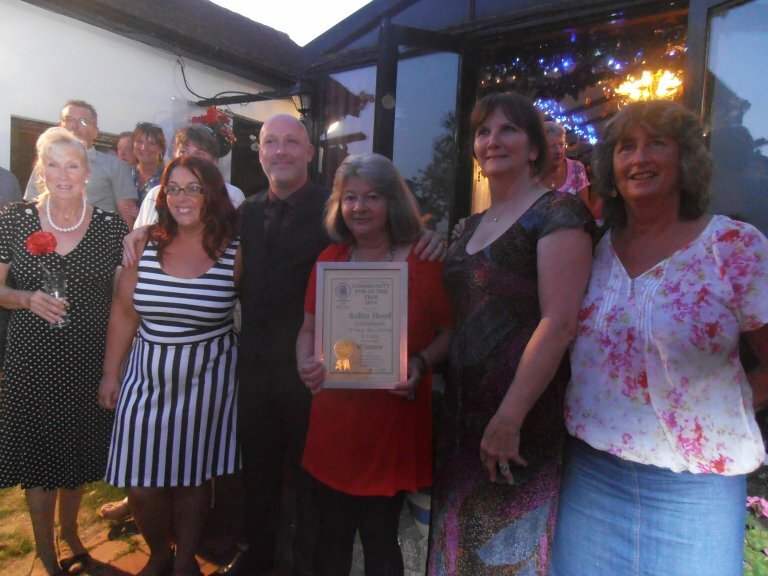 The Community Pub of the Year went to D’Arcy, Sue, Lorna and Carly at The Robin Hood, Icklesham a previous winner of the overall Pub of the Year, a generous buffet was laid on for a full pub of family, locals and CAMRA members on a warm evening in July. For the second year in a row the LocAle Pub of the Year went to The White Rock Hotel, Hastings on the seafront, also a previous winner of the overall Pub of the Year. Proprietors Laurence and Lauren Bell specialise exclusively in Sussex beers. The presentation was made at a Branch committee meeting held in the Hotel in December, with a buffet laid on by the hosts. 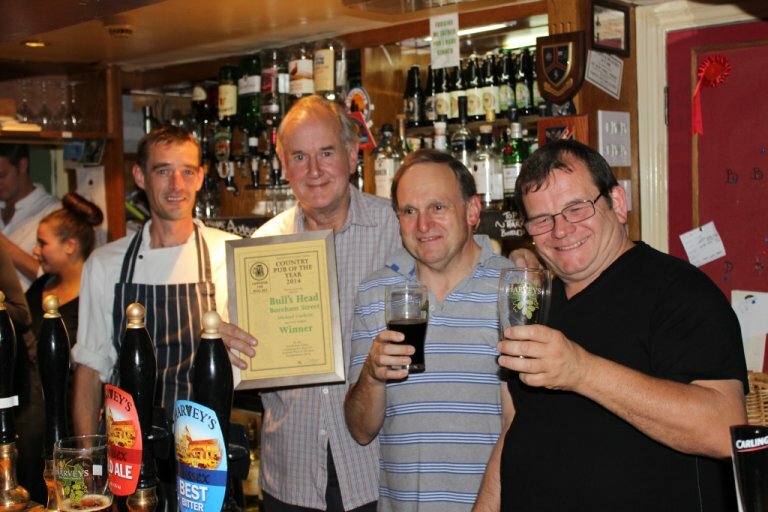 With the Pub of the Year award going to a town pub, the Branch awarded the Country Pub of the Year 2014 to The Bulls Head in recognition the way landlord Michael Corfield has developed this pub which had been in danger of closing. 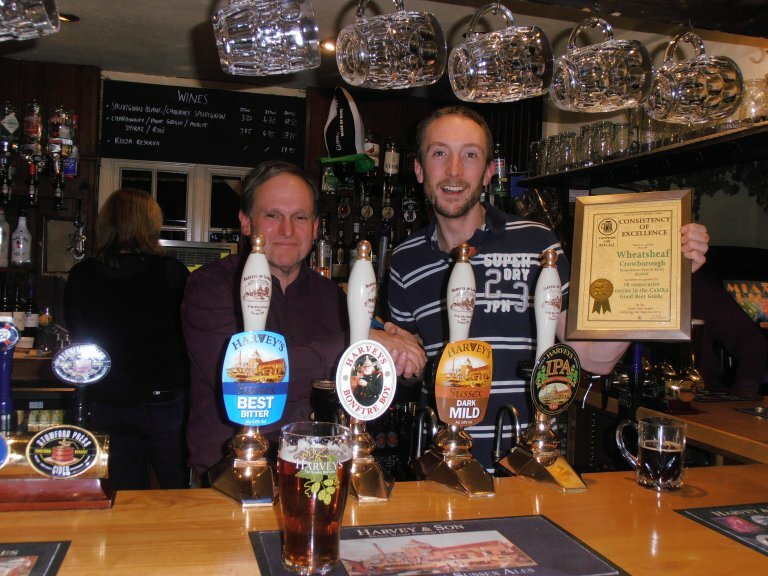 Ten consecutive years in the Good Beer Guide meant a November presentation to Pete and Becky Randall at The Wheatsheaf. The proprietors have carried on the good work from where their predecessors Ted and Maggie left off, so the award is a tribute to both couples. In April 2014, Bill announced that he was stepping down from active campaigning after many years. He is a dedicated member who has worked hard for the Branch. He was a founder member of the Eastbourne beer festival, being a bar manager in its early years. When the Branch gave itself the task of completing surveys of all the pubs in its area for the WhatPub website, Bill visited the majority in Hastings and St. Leonards to complete these. He continues to deliver copies of the Sussex Drinker to many pubs in his local area, something he has done for many years. The Branch made a presentation of a certificate to him when members met at his local, the Tower in St. Leonards. 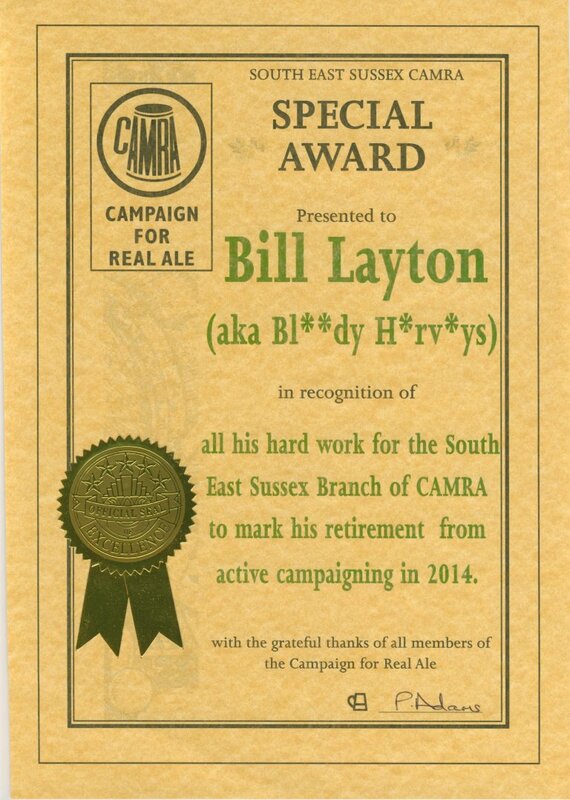 The South East Sussex Branch and all of CAMRA are grateful for the tremendous effort Bill has made on its behalf over the years and wishes him many happy years of beer drinking. 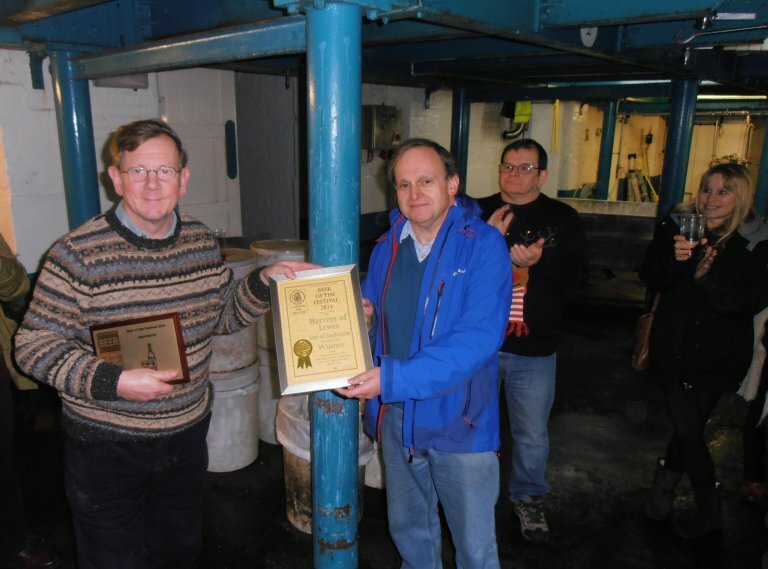 Three awards are made annually; Beer of the Festival being the top award, with two others, one given to the winning Sussex Microbrewery beer and the other for the best beer from a brewery outside Sussex. 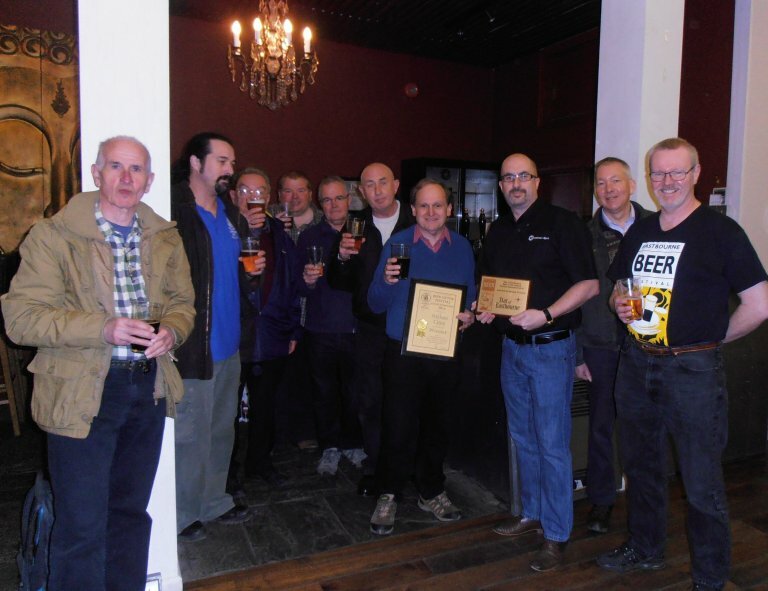 Although these are CAMRA awards, anybody attending the festival can cast a vote. 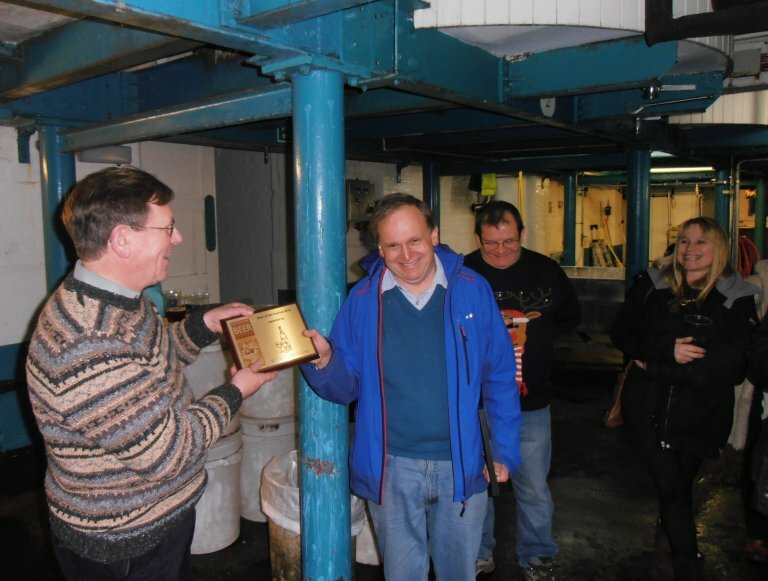 The Beer of the Festival was awarded to Harveys of Lewes for Star of Eastbourne. 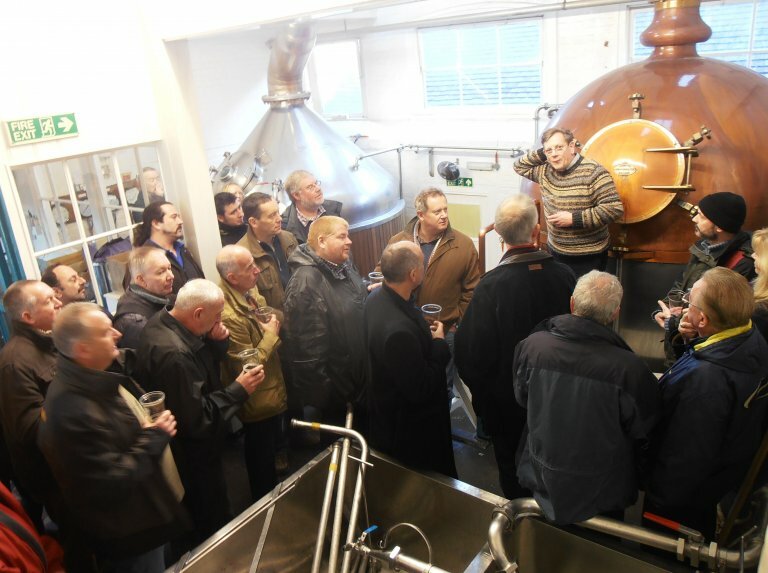 The Branch was invited to the brewery in December, where head brewer and joint managing director Miles Jenner generously provided food and beer and gave us an entertaining brewery tour. This visit was also a celebration of the twenty fifth anniversary of the branch in its present form. 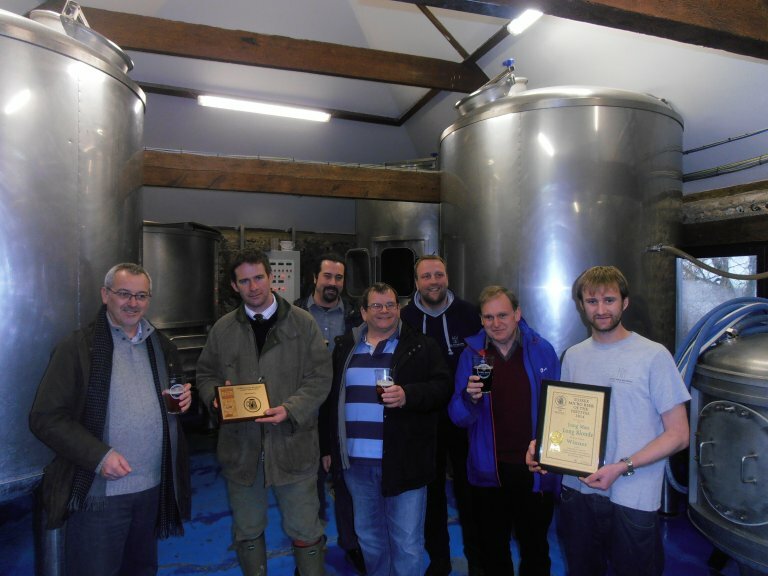 In January the Branch visited the Longman Brewery in Litlington to award the Sussex Microbrewery Beer of the Festival certificate for Long Blond to second brewer Graham Moores and joint owner and farmer Duncan Ellis. 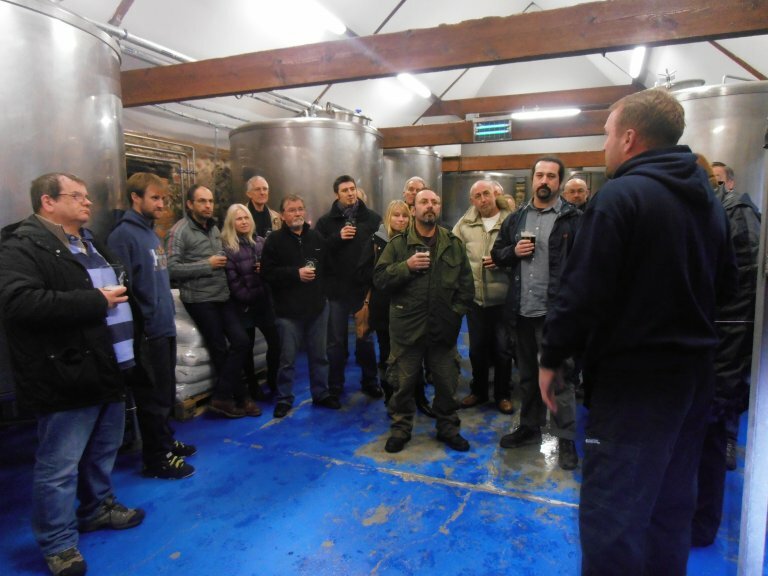 Once again a brewery kindly provided us with plenty of beer and a warm welcome. The brewery had significantly expanded since the first branch visit in its early days. From the window the flooded Cuckmere valley was providing a rather different vista than the normal view. Inevitably presenting the Sussex exemption involves rather more travel. 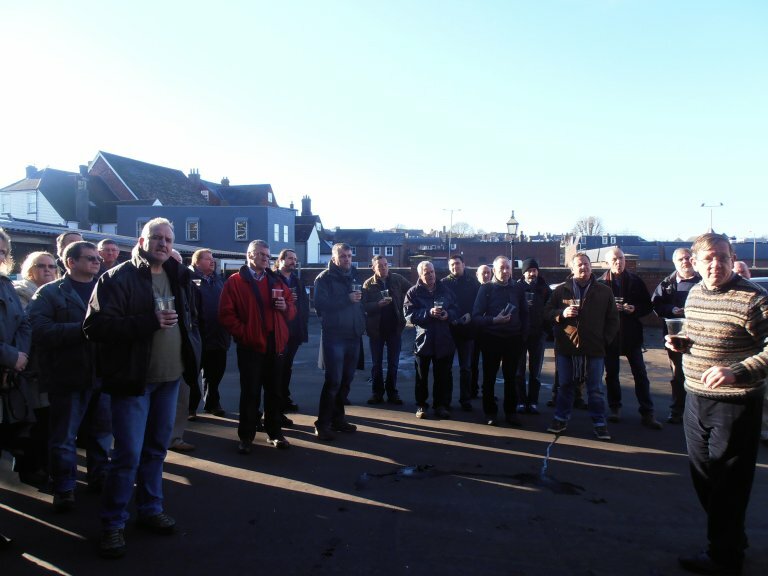 In March a group of nine branch members made a day trip to Peterborough to the Brewery Tap of Oakham Brewery. 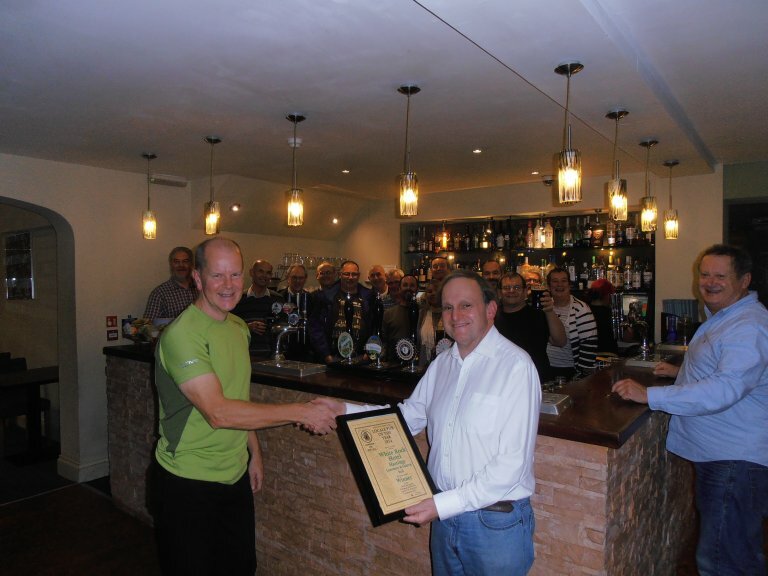 We were greeted by Nigel Wattam, the brewery’s marketing manager, who provided us with beer on the house. After the presentation and lunch at the pub, we visited three other city centre pubs, including Charters, Oakham’s barge on the River Nene, before heading back for the train home.